Grand/Sakwa’s unique vision has produced some of the region’s finest mixed-use developments, featuring a blend of high-demand housing and destination retail centers. At Grand/Sakwa, we know that each multi-use site comes with a unique set of both challenges and opportunities. We excel at conceiving and designing the real estate products that are appropriate for a site while orchestrating the subtle balance between what is needed for our various constituencies and what is best for the community. Our integrated solutions address residential, retail, and community needs. Award-winning Midtown Square is just one example of our expertise in action. Working in partnership with city officials in Troy, Michigan, Grand/Sakwa transformed an abandoned and heavily contaminated brownfield industrial site into a landmark community. Midtown includes 300 townhouse condominiums plus a regional shopping center of approximately 600,000 square feet anchored by national retailers including Home Depot, Target, Kohl’s and Kroger. This project enabled us to improve the property in line with the City’s plan, increase its use and create a thriving residential community and regional retail center. Midtown features first-class architectural design and construction, boulevards, widening of adjacent roadways and extensive landscaping. Westgate illustrates Grand/Sakwa’s expertise in repurposing an old site for new and vibrant use. 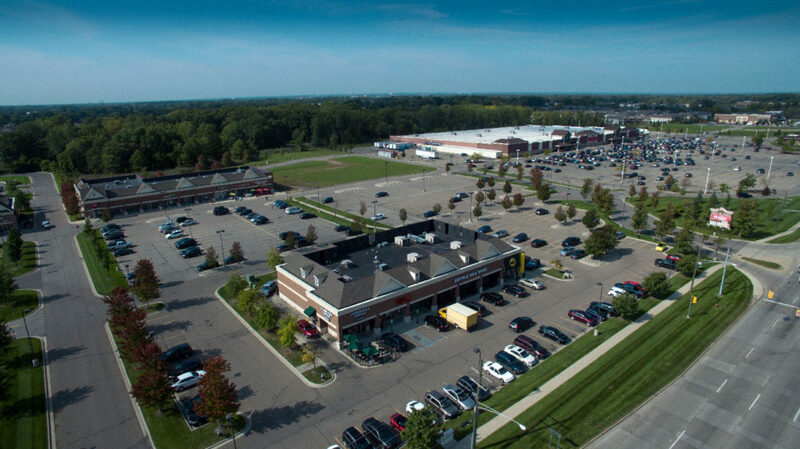 Grand/Sakwa acquired the Audette Cadillac site, a 9-acre former car dealership located on heavily trafficked Orchard Lake Road in West Bloomfield, Michigan, with an aim toward redeveloping the property into a mixed-use development. Grand/Sakwa oversaw all components of the redevelopment from site planning through leasing and construction. 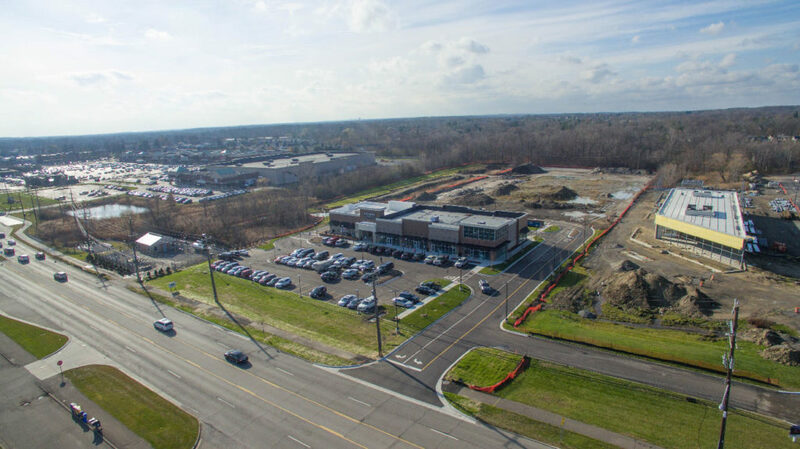 The final site plan included 15,000 square feet of retail – including a drive- through Panera Bread along Orchard Lake Road – as well as five acres in the rear of the site for commercial or multi-family development. In 2004 Grand/Sakwa acquired an 83-acre site in Grand Blanc, MI from General Motors that originally used the 1.8 million square foot site to test World War II era tanks. 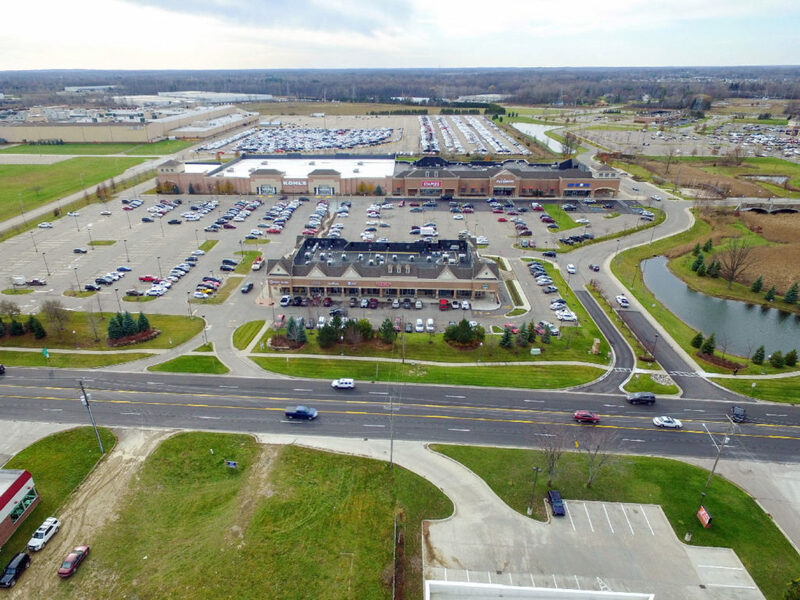 Grand/Sakwa converted it into a $65 Million Power Center with over 500,000 square feet of commercial space through a strategic plan that attracted key tenants such as Wal-Mart, Kohls, Sam’s Club, Staples and Petsmart. To preserve the site’s historical aspects, Grand/Sakwa also provided for significant open space, which included a World War II Memorial. The retail center, completed in 2006, represents the primary shopping location in Grand Blanc. Grand/Sakwa’s Heritage Village Development represents an excellent example of transforming a large site into a thriving mixed-use project. Grand/Sakwa purchased a vacant, infill 312-acre parcel from General Motors and worked with Warren City Council to rezone the property from industrial use to a planned unit development with residential and commercial uses. Today Heritage Village includes nearly 1,000 units of residential development, including single-family homes, duplexes, ranch condominiums, four-plexes, 12-plexes and a 150-unit senior living facility. 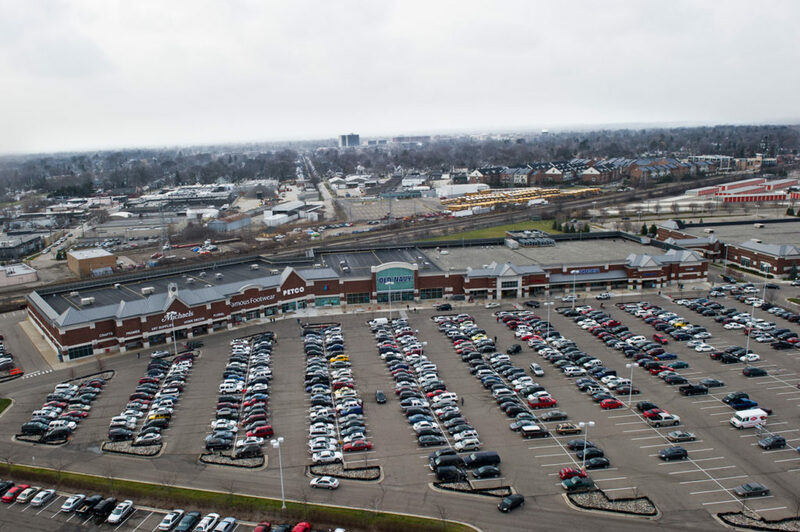 Additionally, the site contains over 400,000 square feet of commercial development including a 24-hour Meijer, a LA Fitness, as well as many restaurants and convenience retailers including Starbucks, Buffalo Wild Wings, and Chili’s. 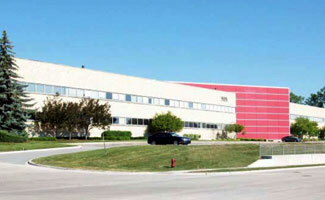 Grand/Sakwa acquired 909 Sheldon Road, a 526,540 square foot vacant industrial property located in Plymouth, Michigan. The 32- acre site was the City of Plymouth’s largest industrial site. It was without tenants at the time of the acquisition, but had been leased in the past, most recently to Office Depot and FedEx. Following its acquisition of the property, Grand/Sakwa considered a multitude of options, including everything from redeveloping the site into a retail shopping center to renovating the property and leasing it to multiple tenants. Ultimately, Grand/Sakwa sold the property to Fuyao North America, the world’s largest automotive glass manufacturer. Fuyao is presently renovating the property with plans to open a plant where auto glass — manufactured in Ohio and China — will be finished before being shipped to automakers.